A couple weekends ago, there I was minding my own business. 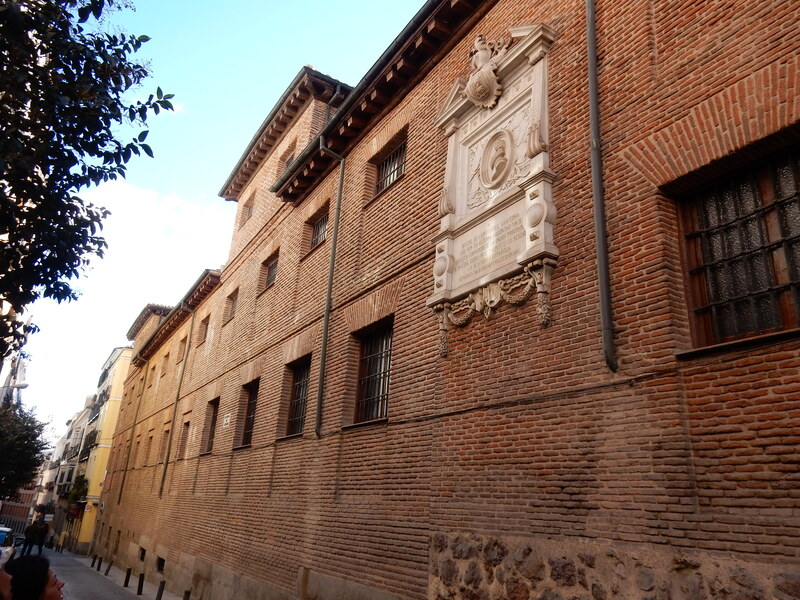 Wandering through the Barrio de las Letras in Madrid, past this beautiful brick Trinitarian convent when I got a feeling. And just as I got this feeling, who beside me on the other side of that big brick wall but Miguel de Cervantes. Trinitarians, according to Wikipedia, are a Christian order established in the twelfth century to pay the ransoms for other Christians kidnapped worldwide. And so, in 1580, this particular convent paid 500 gold coins to ensure Cervantes’s safe return from the hands of Turkish pirates (especially fortunate given that Don Quixote wasn’t published until 1605). So I stood and I stared and I thought there he is: through that door, past the chapel, down the stairs to a rented-out old storage room owned by a publishing company, behind some books, a few unbound manuscripts, and probably a rejection letter or two, on just the other side of the wall. Read the full story in The Independent. If you just want to flip through photos, go here. 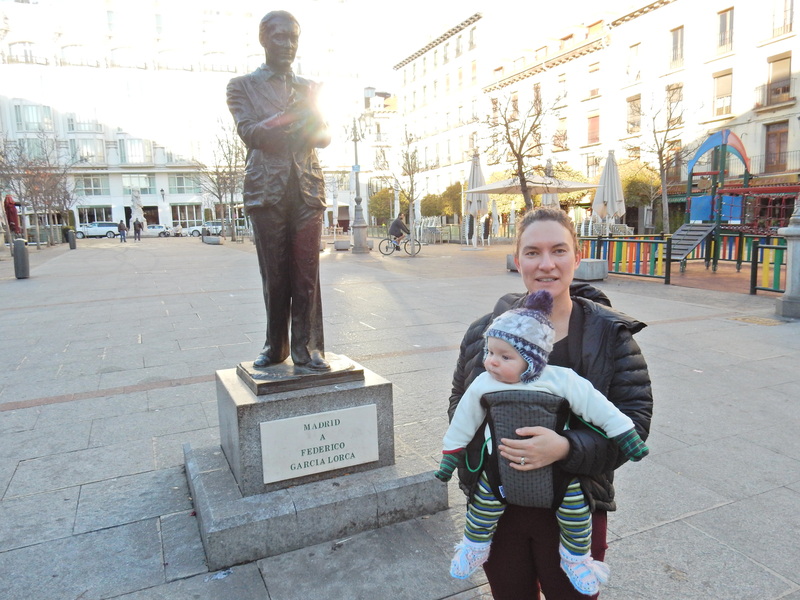 Oh, and then we bumped into Federico Garcia Lorca.